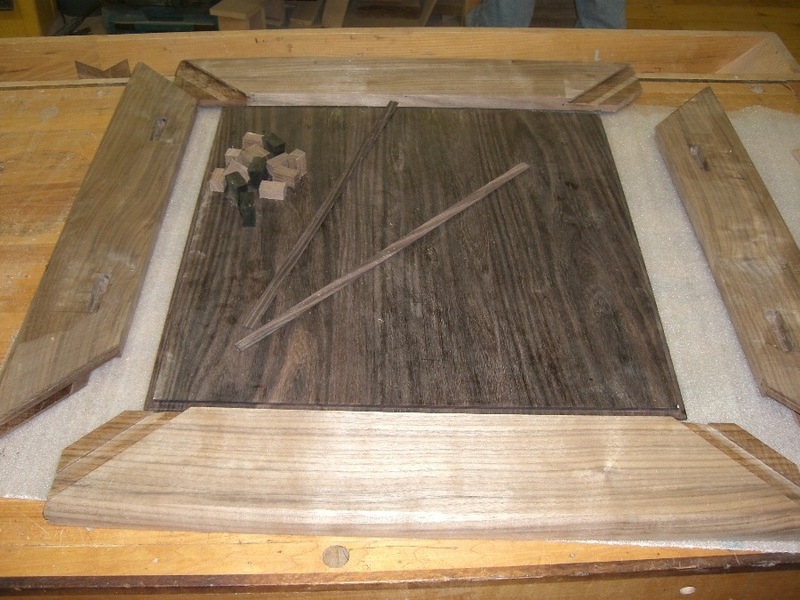 With the Indian Rosewood panel for the top 95% complete, I set to work on the frame pieces for the top. Here I was down to a reduced stock of Walnut, not having anticipated the need to make the top in the initial material purchase. I had enough to do it, but not the optimal choice of wood. A couple of the pieces had already been moving towards some other project in the shop and M had worked them over I guess with his orbital sander – I discovered the marks later. Fortunately there had been a change to that project and I was able to pry these pieces out of his grasp – it took a few passes with my plane to get those orbital scratch marks out of the wood. 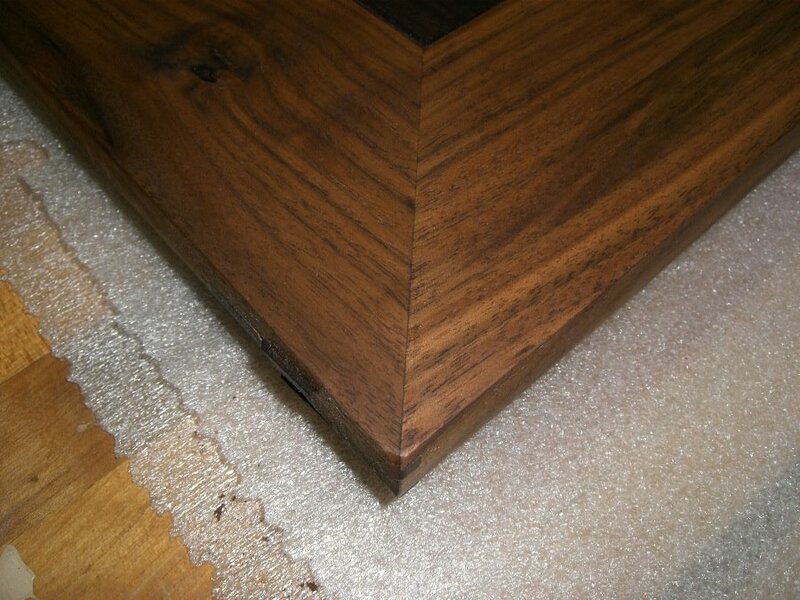 The ideal choice would have been Walnut with very straight grain, in pure quarter-sawn or rift-sawn orientation. 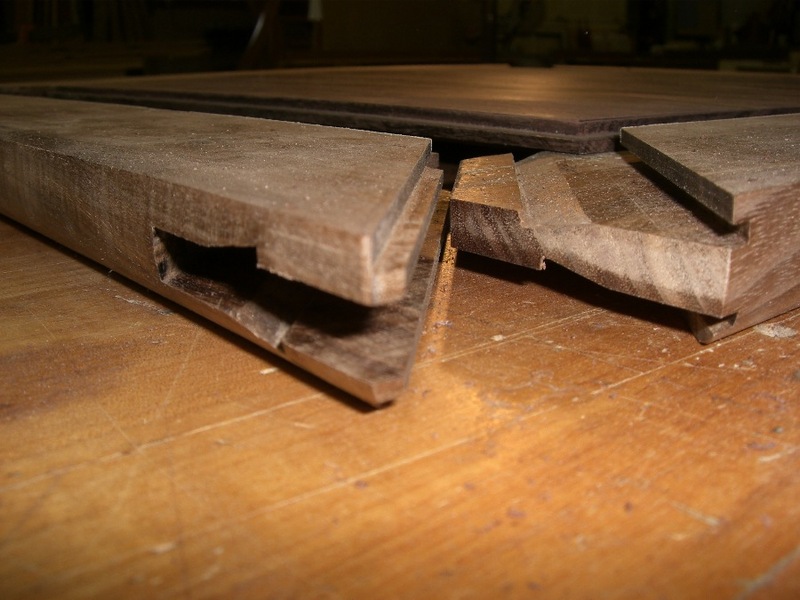 These pieces were a little less than perfect, but by carefully positioning the joint sections on straight grain runs, I could feel confident about about the solidity. You can’t just put a joint anywhere in a piece of wood. 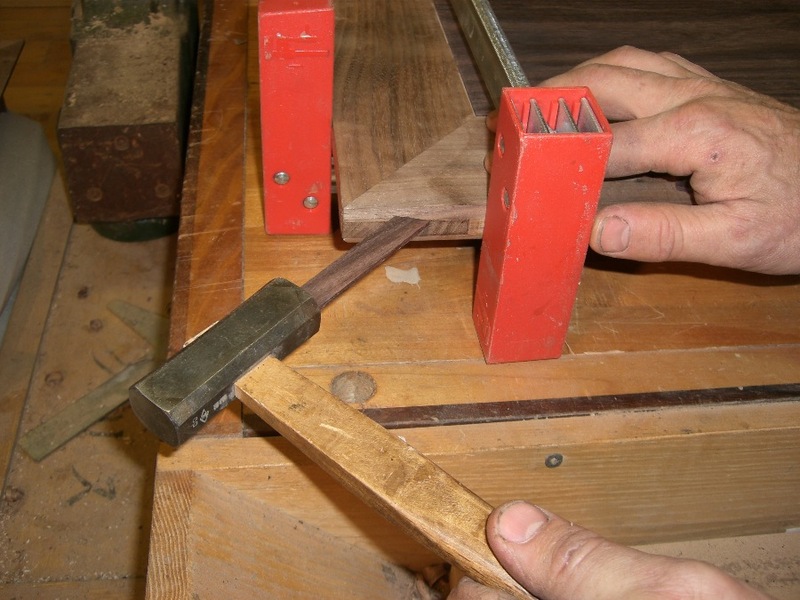 Driving a peg or wedge into a joined construction adds a loading force to a joint, compression or tension, depending, and this load will find any weakness. Add the loads that the structure may receive in use, and you can see the importance of considering the matter carefully. 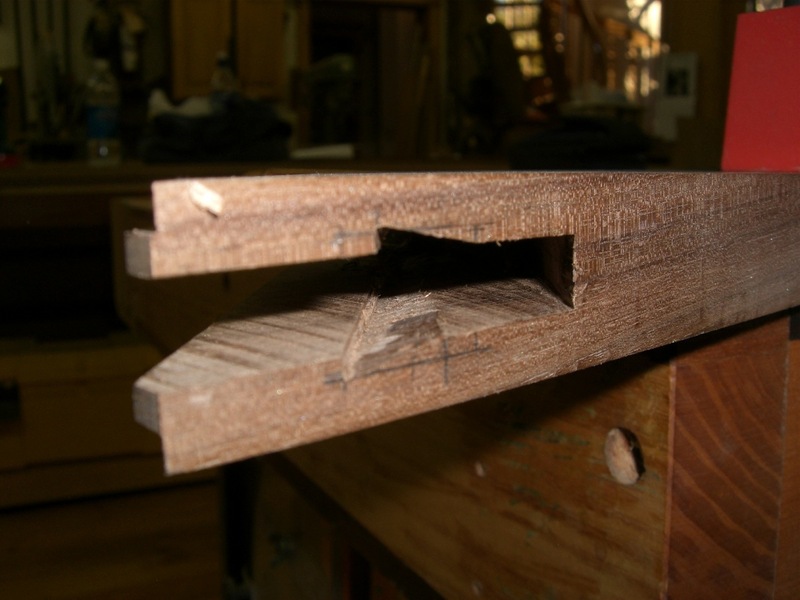 Again, coming from a timber framing background, so I think first and foremost about structure and joinery issues. Sloping grain, internal flaws, voids and splits in the material can lead to premature failure of a joint located in such an area, not to mention the increased difficulty this presents for cut-out. 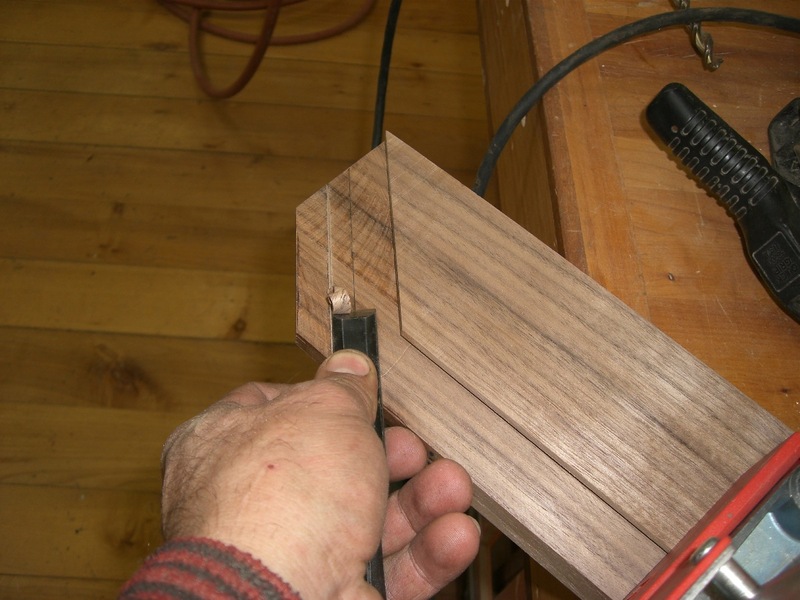 Once I had the stock dimensioned a few hundredths of an inch over final size, I set to mark out and cut the joinery. 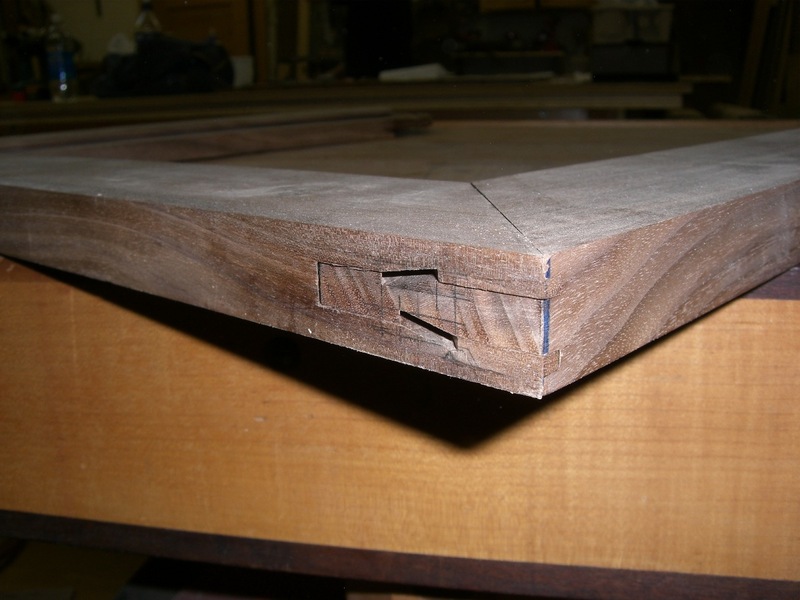 Given the offset between the lower face and the upper face, so as to allow the panel to be as large as possible, the joinery was slightly more complicated than it would be otherwise. With a bit of time spent drawing, I was able to resolve these issues, making room for the panel to fit, and provide robust joint internals. 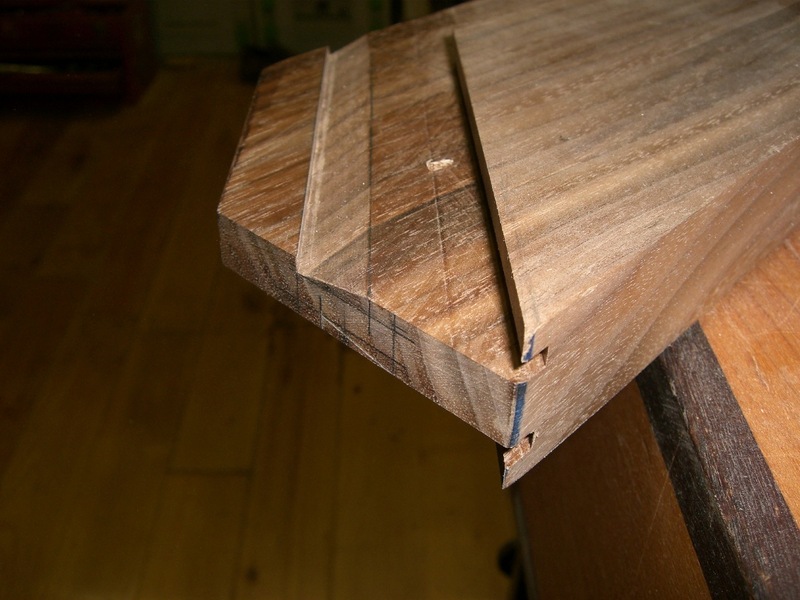 Once again, I choose the Japanese wedged locking miter joint, IMO the finest type of joint for this application, its only drawbacks being the time-consuming nature of its making, and the costs that associate to that. 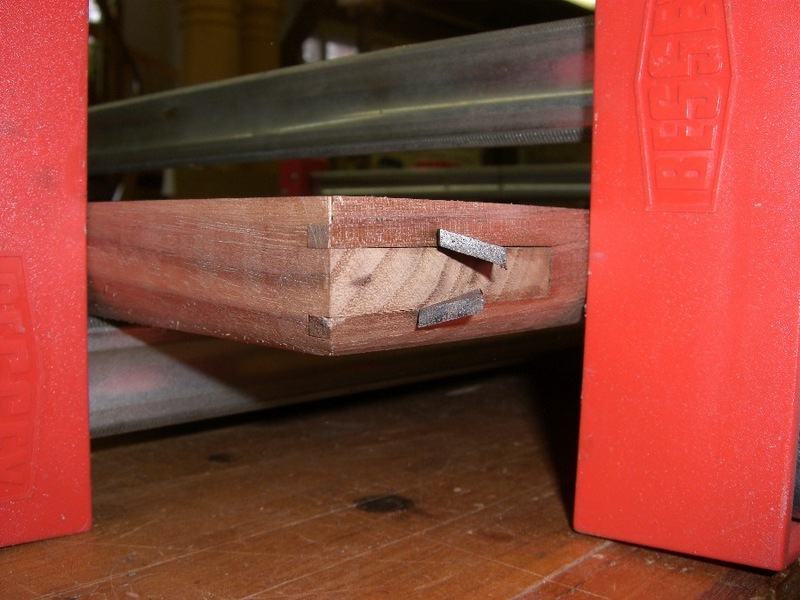 Among orthogonal joinery, this is one of the more complex. Why go to the trouble? 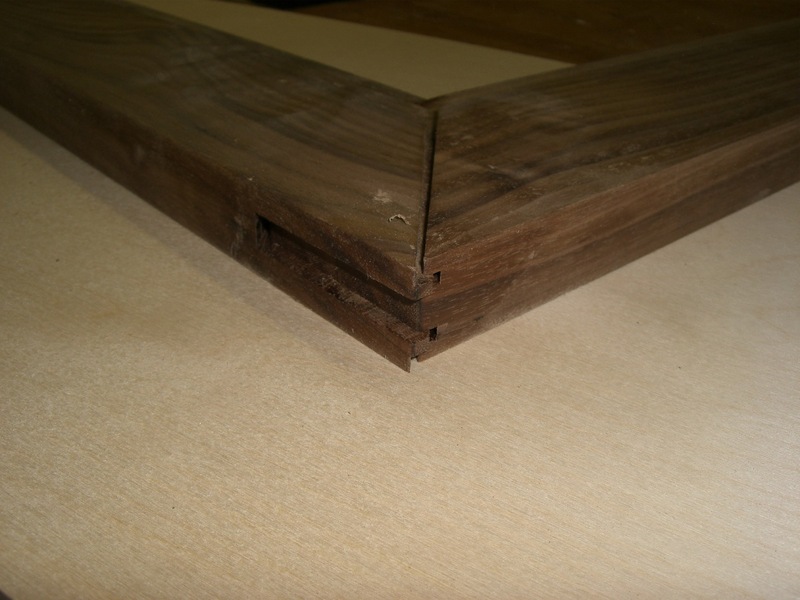 Well, this joint allows for a miter on the visible faces, giving a pleasing continuity of grain around the joined corner, and the locking mechanism allows for good mechanical strength, without recourse to glue. I also has a discreet appearance, which I like. Of those who even notice this joint, in my experience, most tend to think it is some sort of splined or feathered construction, which it is not. 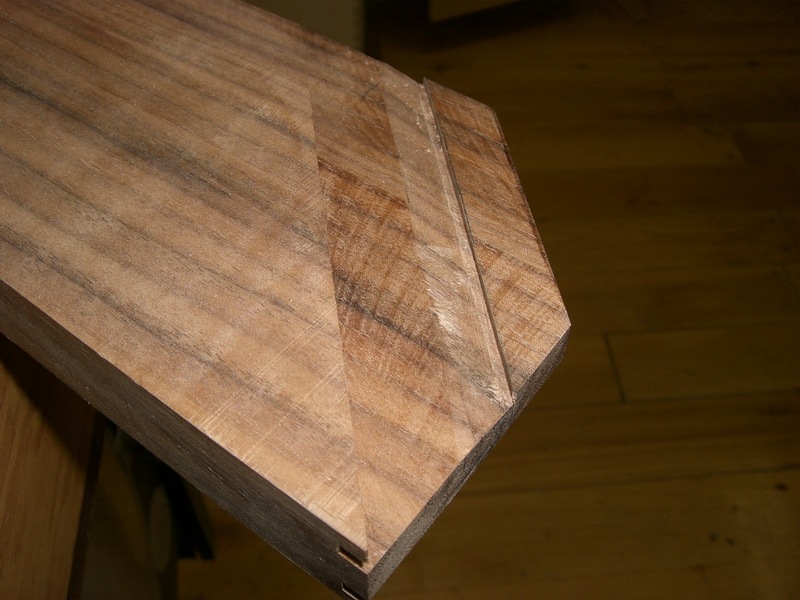 There are various versions of this type of Japanese woodworking joint – some wedged from the outside, some from the inside, some wedged at the corner, and some wedged adjacent to the corner (as in the top on the pentagon stool shown in an earlier post). In thicker pieces of stock, the internals of the joint are multiplied – I have seen tripled versions with 6 wedges on some applications. 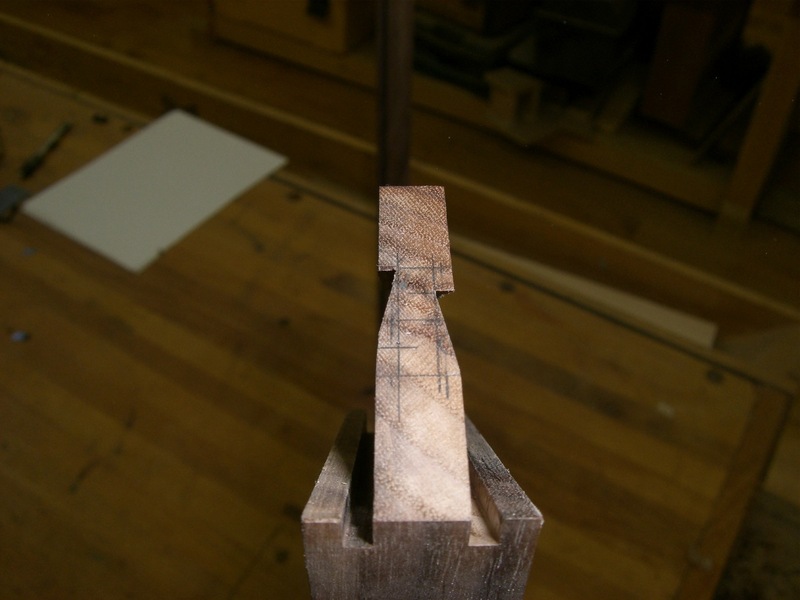 This version uses a single internal tenon and the wedges are doubled. The doubling helps to drive the joint together with a balance of force topside and on the lower side. After working my way around, I then clamp up all the pieces, and check it all for square and tight. Then a little fiddling as may be necessary, however there really isn’t much room for error. I leave the abutting surfaces just a hair fat so as to allow for some degree of room for paring-to-fit. One thing I learned in ju-jutsu is to pin the opponent with a light amount of force (this is the ideal, and means you have good technique) – in woodwork, I take this idea and apply it to clamping. Clamp lightly when checking for fit – if it requires thousands of pounds of force to squeeze together, the fit is poor. The next step was to profile the edge of the frame – I chose a semi-elliptical type of rounding the lower edge, and lightly chamfered the upper edge. 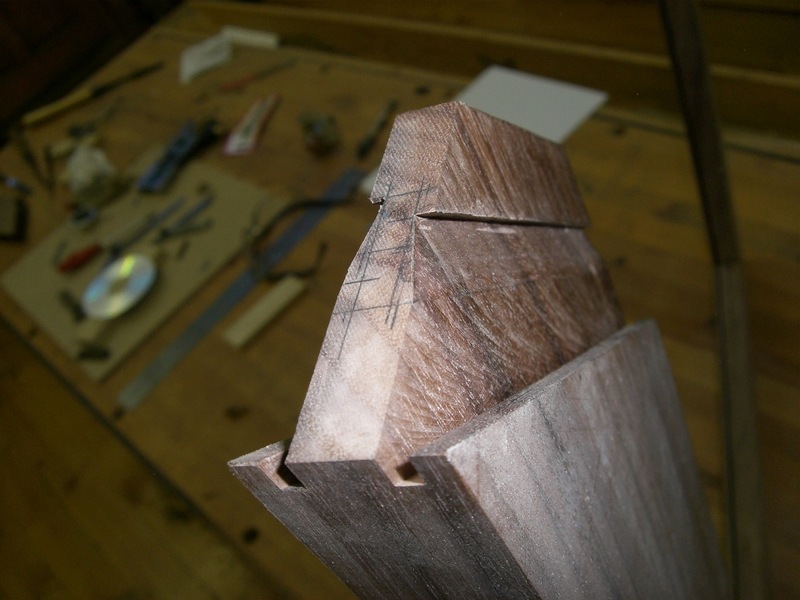 The rounding was accomplished using some specialty Japanese chamfer planes I have in my set. It was the same result on all four corners, so it seemed redundant to post pictures of each corner. 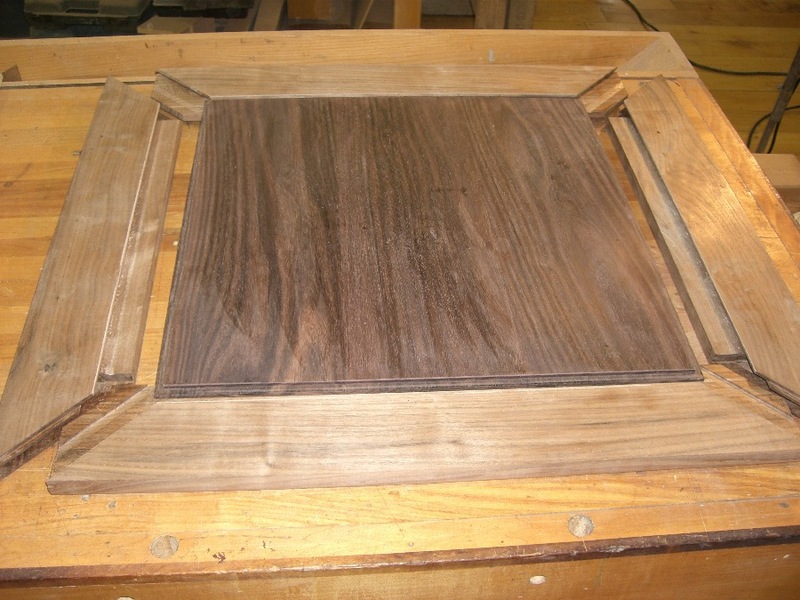 The penultimate post in this series will deal with attaching the top to the frame, without metal fasteners, and a bunch of pictures of the completed piece. 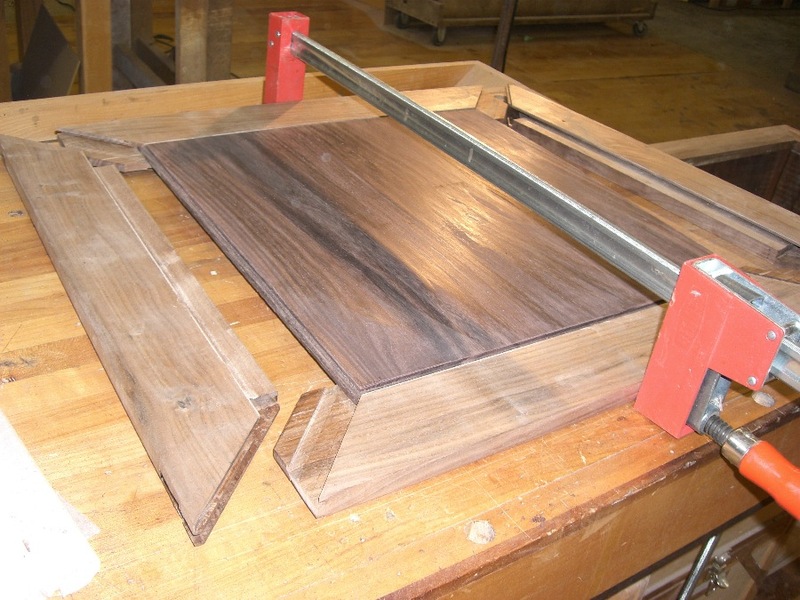 As you’ll see, Indian Rosewood has a deserved reputation for beauty. Chris, can you tell me a bit about your kumiko dozuki saw? With its long tooth style at 32 tpi it must be a remarkable piece of work, the Japanese saws I have seen offered for sale seem to draw the line at 28 tpi. Is yours handmade?I would be really interested in reading some blog entries about the tools in your set. Probably a few interesting tales to be told there. 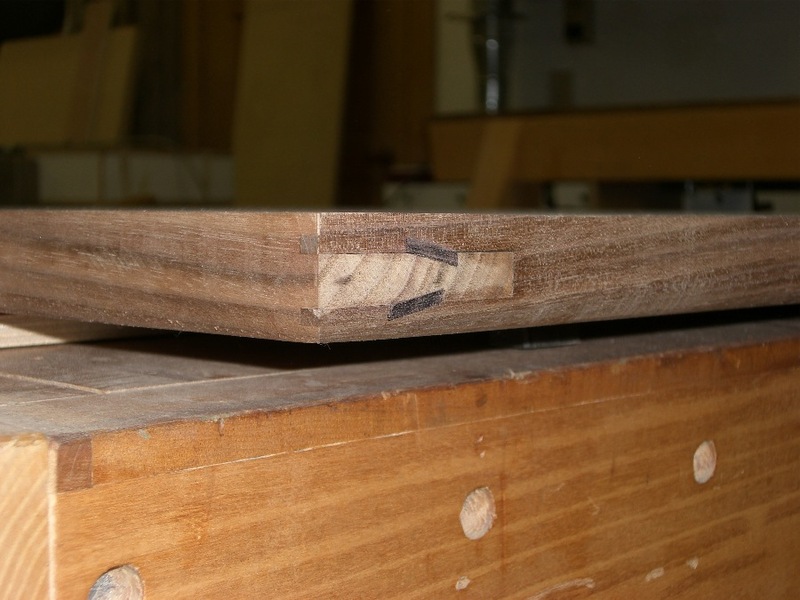 I love this joinery. In fact it might just be my favorite… it's beautiful, light tight, and strong. I've tried looking for more examples and illustrations online and in my joinery books, but have come up empty. Could you recommend a good source? 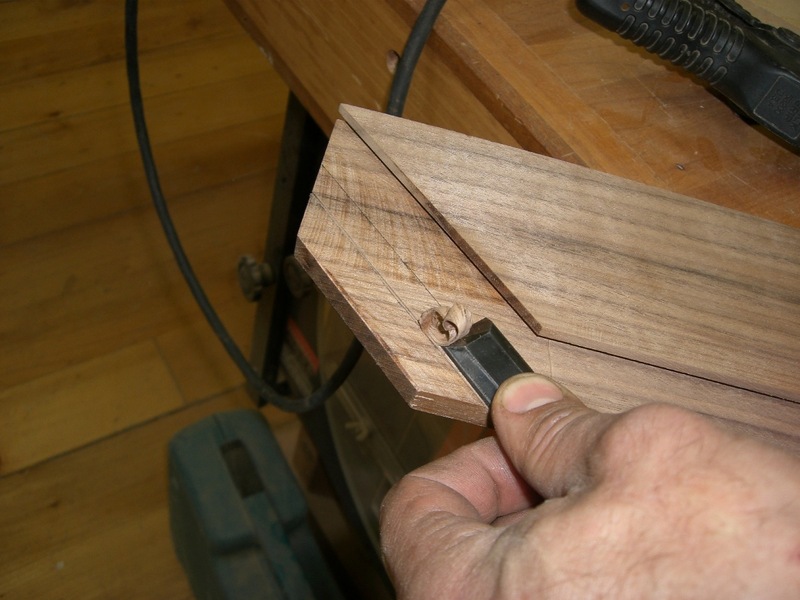 I'd really like to start practicing this one as it seems to be a very useful piece of joinery. I don't know of any books that cover it in any detail, however I will be extensively detailing the joint in an upcoming volume of the “Art of Japanese Carpentry Drawing” series, probably vol. 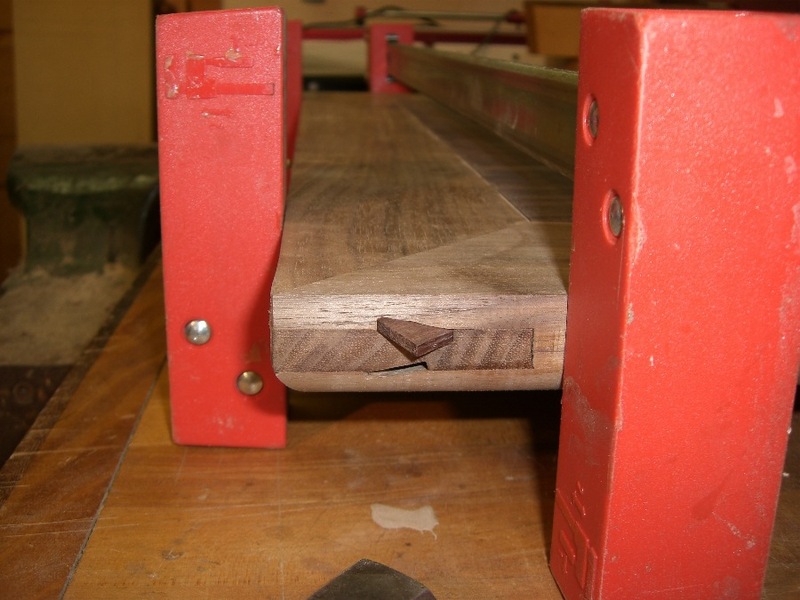 5.
too much info related to wood working… appreciated!